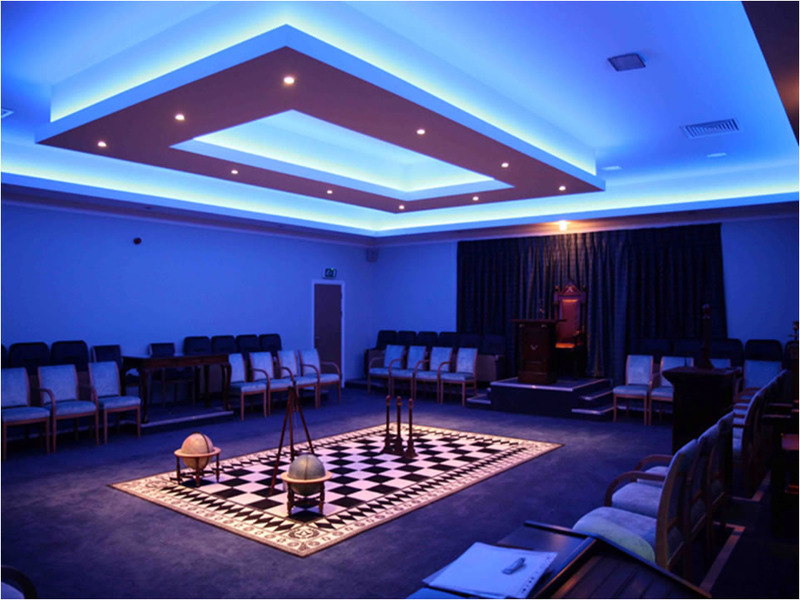 Instyle LED lights up Masonic Hall with stunning effect! Standard blue led tape 4.8w was used around the ceiling in a drop down coving. There were a total of 60m of the LED tape used to give a fantastic feature lighting. Instyle LED pre cut the LED tape to required lengths and pre soldered on starter leads for a quick easy install. A total of 3 transformers were used with a total of 20m of LED tape running off each one. They were all wired to on switch so they all light up together. The install took 1 man half a day to complete. The customer was extremely happy with the result.